It’s just another rough day in this American life, what with Mike Pence breaking the Senate tie over completely unqualified Secretary of Education appointee, Betsy DeVoss; it’s a crushing blow to those of us with children in public school — heck, for anyone concerned about our country’s education system. I’ve been struggling since the news hit this afternoon, trying to calm myself with soothing music and venting to friends… and then I came upon this lovely video posted by dulcimer player, Ted Yoder. 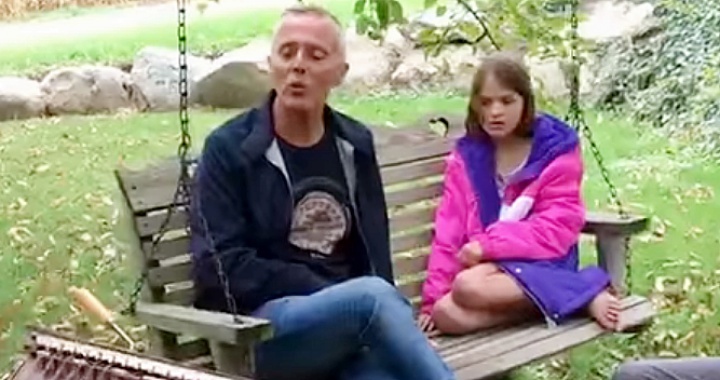 Featuring Tears for Fears’ Curt Smith and drummer, Jamie Wollam, the trio shared a wonderfully relaxing backyard rendition of Everybody Wants to Rule the World. With Curt totally laid back, and slowly swinging to the unplugged background music, we just couldn’t ask for a more lyrically appropriate, and chilled few moments. Walt Goggins Explains That His Gorgeous Smile is Hard Won … Twice! What Were All the Songs in Tonight’s Mr. Robot?